Right now we are at Stage 5 in the process in the atorvastatin calcium (known as Lipitor) cases. Plaintiffs’ original request for consolidation was denied a few months ago because there were not enough cases. The court also said that the parties were cooperating so well that the “judicial economy” argument was not as strong. Well, that logic is coming apart at the seems. Because we now have 114 cases pending in 20 different jurisdictions. Still, Pfizer opposes bringing the suits together for discovery. The company is pretending that it is more efficient to keep them apart. What is the logic? Pfiser argues that these atorvastatin lawsuits are “poised for prompt merits decisions, including on core science issues, which will shape the litigation nationwide and conserve significant party and judicial resources” so the MDL will slow down the path to justice. Please. Pfizer will delay and delay these cases. They don’t want these claims being brought to trial and risk a big verdict. It is also cheaper for Pfizer in terms of litigation costs to consolidate the claims against their big selling statin. Pfizer opposes the plaintiffs’ motion for consolidation because lots of women taking this have other cholesterol-lowering statin options and we don’t want them to know that the drug might cause diabetes. If this court consolidates these cases, lots more people will know about this and will consider safer statin options to lower their cholesterol that don’t have a diabetes risk. Respectfully, Pfizer asks this Honorable Court to help us surpress this public safety information. Well, that’s not going to happen, right? So we get the “we are all better off” response instead. We will see what the court does. At this point, I would be surprised if plaintiffs do not win the cases. What Are These Lipitor Diabetes Cases All About? 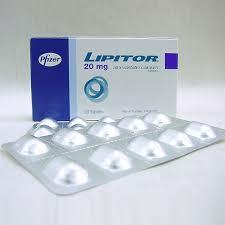 Lipitor is the big seller of a group of drugs that are prescribed to help lower cholesterol and reduce the risk of heart disease. By all accounts, they work. This drug in particular is probably the right drug for a great many people. No one is suggesting that Pfizer should recall Lipitor. It is a good drug. But plaintiffs’ lawsuits allege that Pfizer has refused to warn patients and doctors about the risks associated with taking this drug, most notably that it might cause blood sugar levels to rise and cause the patient to become a diabetic. In February 2012, the FDA mandated new warnings for Lipitor that announced that patients might have an increased risk of elevated blood glucose levels. It is hard to argue that Pfizer did not know this medication had these risks before February, 2012. Really hard. From a legal standpoint, these new warnings help with claims by patients who started taking the drug in 2013. But for patients who have diabetes who started taking this medication before 2012, these may be very viable suits. In nearly all of the lawsuits filed, plaintiffs maintain that if they had been provided proper warnings about the Lipitor risks, they could have avoided diabetes by choosing not to take the cholesterol drug or by diligently monitoring their blood glucose levels during treatment. If you have been diagnosed with diabetes subsequent to taking Lipitor, you need to know what your legal options are. Call 800-553-8082 or a free online consultation.